CC is a paint horse. 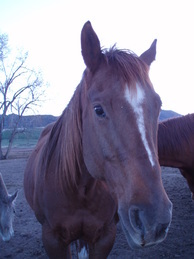 He is the father of a few of our horses like Doobie, Abbey, and Stiltz. He is the top guy in the pasture and loves having a job to do! He mostly hangs out with his daughter Abbey and her friends, Wrangler and Doobie. 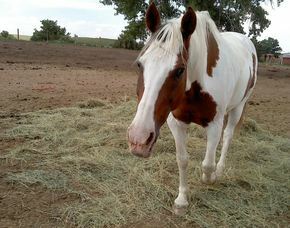 Abbey is another one of our paint horses but is part mustang! Her sweet personality makes her a great horse to ride! She listens but, if she thinks you are wrong or has a better way to do what you are asking, she will do it her own way. Her father, CC, is her best friend and she is always intent on following him everywhere! 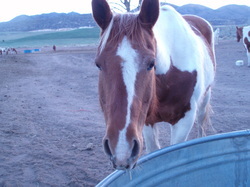 Shy is a paint horse. He enjoys taking people out on trail rides with his best friend, Sky, but still loves his days off in the pasture! He loves taking people out on trail rides and makes it fun in his own way. His brother is his best friend along with Blaze. Sky looks almost identical to Shy. Their markings are very similar which makes it had to tell them apart sometimes but, Sky is slightly smaller than his brother. Sky mostly hangs out with Shy and Sunset. 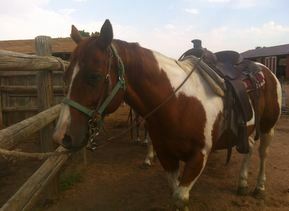 On trail rides, he is very relaxed and makes the ride as enjoyable as possible he is the perfect trail horse . 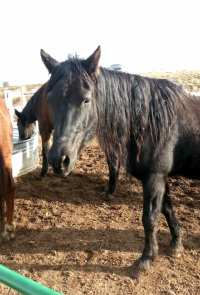 Sky knows his job and enjoys being able to get out of the pasture and roam the trails of Chatfield! He is a great horse that anyone will love. Sky is confident and strong but also sweet and is certain to become your best friend! Skipper is a very energetic horse! She likes to be the one to get things first. If all her friends get to go out on trail rides, she feels that she needs to be with them. Skipper is great for adults of all experience levels because of how controllable she is. 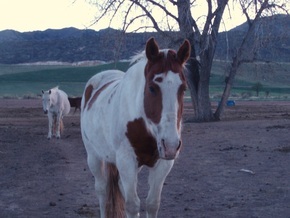 In the pasture, she hangs out with Blaze and her boyfriend, Boomer. Blaze is consistent with almost everything she does. Blaze is smart, knows her job, and can figure out when she can get away with things. She is named for the white blaze on her face and hangs out with her boyfriend, Friday, and Skipper. This wonderful paint horse is Tommy. He is a delight out on trail and enjoys what he does very much. Tommy loves to be in the lead and is a very well behaved horse. He will also do what is asked of him without questioning you. He is great for any experience level and age! If he isn't out on trail, he hangs out with his best friend Nacho. This little fella is Nacho. He is such a joy to ride and to know. He may be small but he acts as if he's the biggest and best which will make you fall in love with him. Nacho also has one of the most comfortable and unique gaits out of all of our horses! 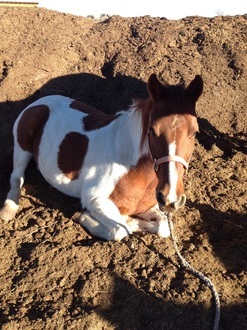 This sweet horse is Minnie. 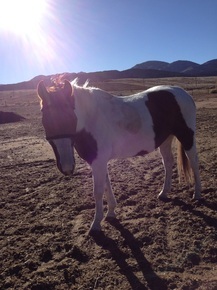 Minnie is a paint horse that loves to be in the lead. She will listen to what you say right away and is a pleasure to ride. She is pretty, confident, and knows her job! She follows her best friend, Blue, around in the pasture every where! Blue is one of our most beautiful horses! Her name is Blue, due to the blueish tint of her black coat. She has a long but smooth stride which makes her very comfortable to ride due to her breed as a Morgan. Blue likes to spend her free time in the pasture with her friend, Minnie. 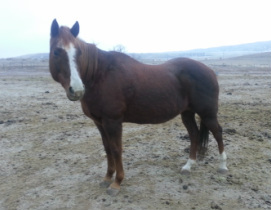 Gin is a beautiful quarter horse. Gin is very calm and sure of herself. She responds very well when being told to do something gently. Gin will do what ever you ask , the first time you ask. Her best friends are Boomer (her boyfriend) and Minnie.